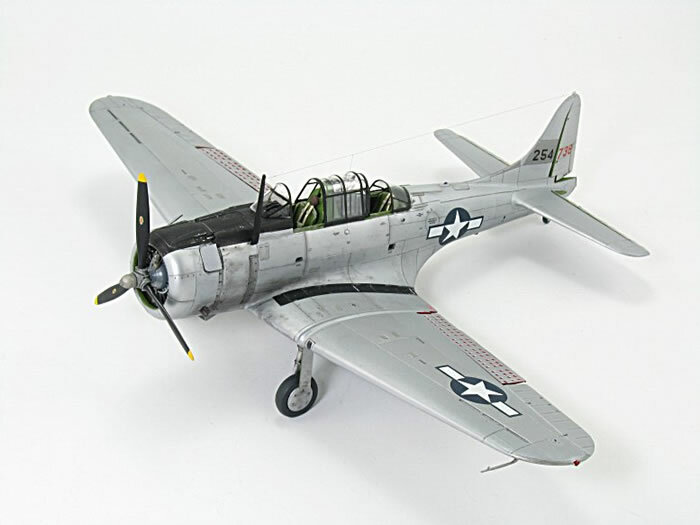 This is the 1/48 scale Italeri re-pop of the Accurate Miniatures SBD-5 Dauntless, only in this case, its an A-24B Banshee. I found a photo of the plane on the Internet and from all appearances, it had a replacement rudder, hence the three red numerals. I added an ADF antenna and obtained a plug for the bomb cradle from the Hasegawa kit. An aftermarket seat came from my resin stash and it "lives" in the rear pit, again, as per the photo. Everything else is from the kit. I used Floquil Old Silver for the base coat and I used Hawkeye SNJ and Alclad II shades to vary the overall metal finish of the model. Cockpit and wheel wells were sprayed with White Ensign Interior Green. Decals came from the spares box. 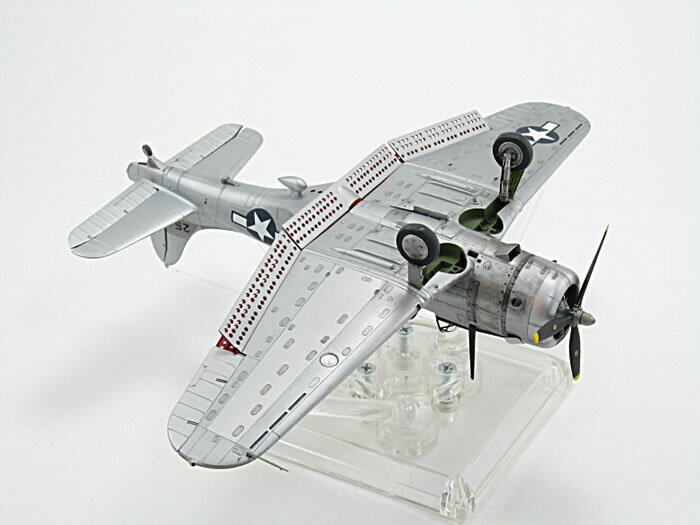 In the past, I've had success using a medium gray acrylic paint to "stipple" natural metal finishes to show wear and tear and the process worked well on this model. Control surfaces were cut and repositioned. Some additional weathering was accomplished with a silver Prismacolor drawing pencil. 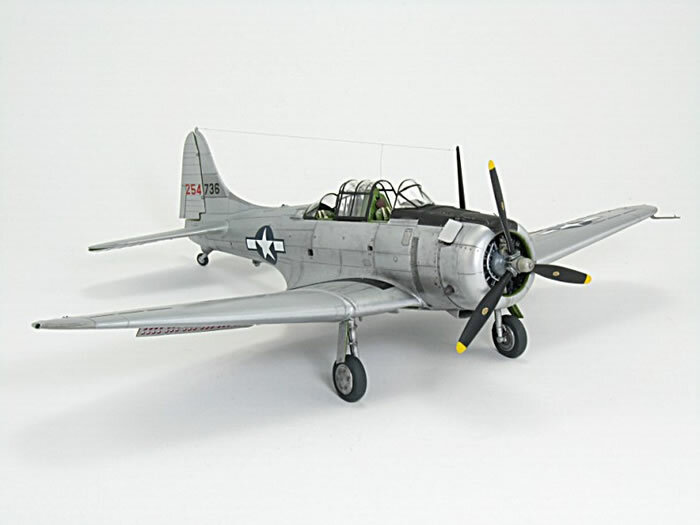 The model is a bit different than the standard Dauntless schemes and the full-build article will be submitted to FineScale Modeler Magazine for consideration.